The level of preciseness increased noticeably. Thumbs up! I'm very interested in higher resolution datasets! That looks sweet, but a quick question... Is that area that's drastically different in the bottom right actually more accurate or is it a bug? I'm just sayin' because it's the only spot that looks a little weird to me, but it might just be the location/angle that you're at. It looks kind of blurry in a way. The problem will go away completely with occlusion culling - the mountains are quite demanding on the generator that has to generate a number of back-facing and occluded tiles, uselessly crowding the tile cache and occasionally not letting a visible tile in after a wild maneuver. 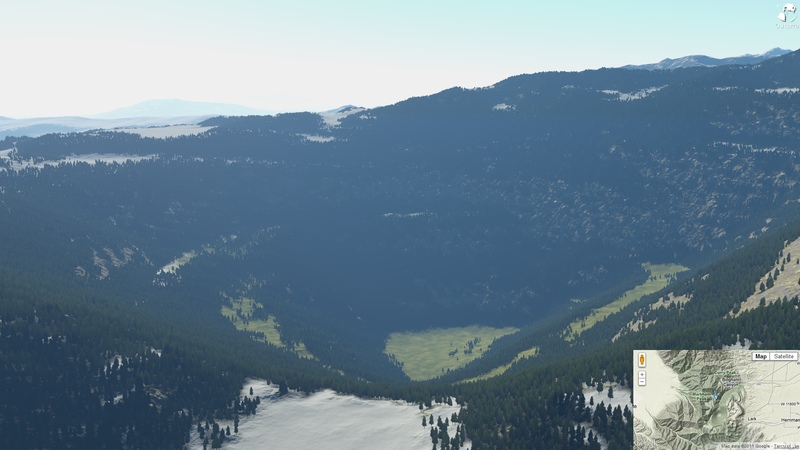 Paradoxically, with occlusion in place the mountains will use less tile resources than flatter areas. Thats alot sharper, great update. Does this mean when we request screenshots the areas will look different/better now? This update shows how much it depends on the quality of original data. Some sources are better than others, so it depends. I'm trying to get together available 30m data, to make even finer dataset - though the size may be too much, and probably it will be applied only on mountains. Also, the problem of transitioning between the regions of different base resolution has to be solved, to avoid possible artifacts there. I wonder if it fixes the manhattan glitch/hill? I still think it's not exactly a glitch. Simply, the radar bounces off the skyscrapers and returns their elevation, in some cases. For the game it can have explanation that the hills are the rubble. 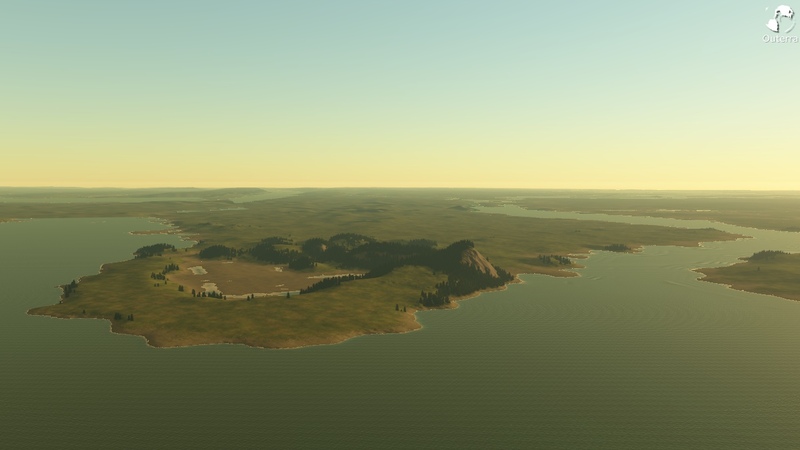 definitely a better coastline. Maybe that hill belongs to the free-masons. It holds all their secret gold. Hmm. The water pattern is REALLY obvious in that pic. Had just a thought: using the datasheets ... are there some drillig and mining holes on the world like this one ? Yes .. a nice one. Oh thanks! An amaizing picture. Would be an werry interesting thing to have an global cave datasheet in the future for the public use too. Could you turn off the trees in this shot? I'd love to see the terrain a little more clearly.